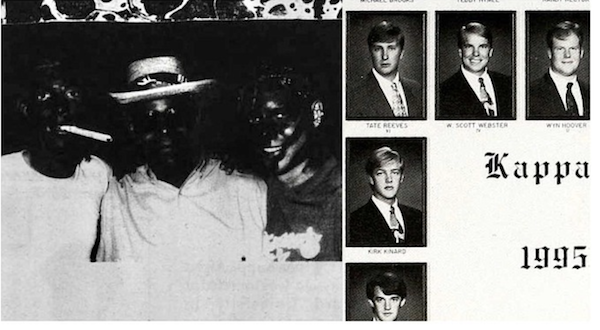 Mississippi Lieutenant Governor Tate Reeves is the latest politician connected to racist yearbook photos. Reeves is the front-runner to become the Republican nominee for governor. 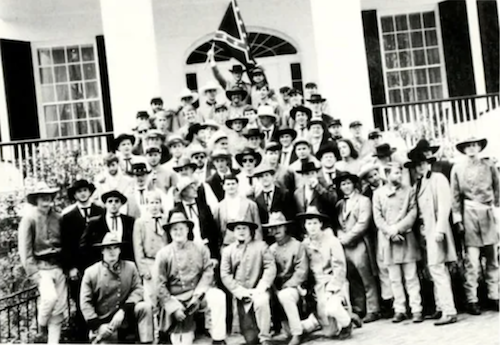 Yearbook photos from the early 1990s, when Reeves was in the fraternity Kappa Alpha at Millsaps College, show members wearing confederate Army clothing during Old South parties. The 1993 through 1996 editions show Reeves pictured among its members. “In Reeves’ freshman year, an add for the fraternity in the Nov. 10, 1993 issue of the Purple and White newspaper included a 1966 photo in which new recruits received invitations from what appears to be a child dressed in a mammy uniform, like that of a slave era housemaid,” according to the Jackson Free Press. A party in 1994 featured Afro wigs and Confederate flags tied around pledges’ necks. Some of partygoers were allegedly in blackface. The Purple & White, the student newspaper at Millsaps, reported that a student accused fraternity members of shouting the N-word. As a result of the party, Millsaps banned Kappa Alpha from using the Confederate flag as a symbol of their fraternity. Following Lee’s death in 1870, admirers in the South made him the focus of the Lost Cause campaign what historians call a propaganda campaign geared toward restoring and strengthening white supremacy in the South. The deadly Unite the Right white supremacy rally in Charlottesville, Va., in 2017, was initiated to oppose removing a statue of Lee in Emancipation Park. The photos from Reeves’ college yearbook were published Friday on the website of American Bridge, a Democratic super PAC. Reeves has been elected four times to statewide office two terms as state treasurer and two as lieutenant governor.